Linda F. Dee, 78, of Oil City passed away Friday August 31, 2018 at the V.N.A. Hospice in Butler. Born December 12, 1939 in Dayton, Ohio, she was the daughter of the late John James and Ellen Schoonover Todd. Following high school Linda joined the Air Force and became a Staff Sergeant. Linda went onto marry her husband Stanley E. Dee on June 17, 1968, and he survives. She drove for the Miami Valley Transit Authority in Ohio for many years. Linda belonged to the AMVETS while she lived in Ohio. 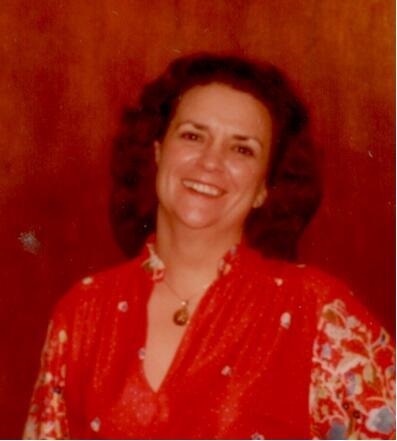 Linda enjoyed fishing, gambling, reading books, and loved her animals. In addition to her husband she is survived by 4 children; Ellen Dykema of Dallas, GA., Roy Dee of Salisbury, MD., Daniel Dee of Louisville, KY., and Lori Beck of Oil City; and 6 grandchildren and 2 great grandchildren. Also surviving are 2 sisters; Lois Marsh of Dayton, OH. and Margorie Bloomfield of Mapleton, GA. and a special friend Julia Dashner of Oil City. Per Linda’s wishes there will be no services at this time.